The Presentation of Trophies for 2015 competition winners took place on the eveneing of Friday 13th November. 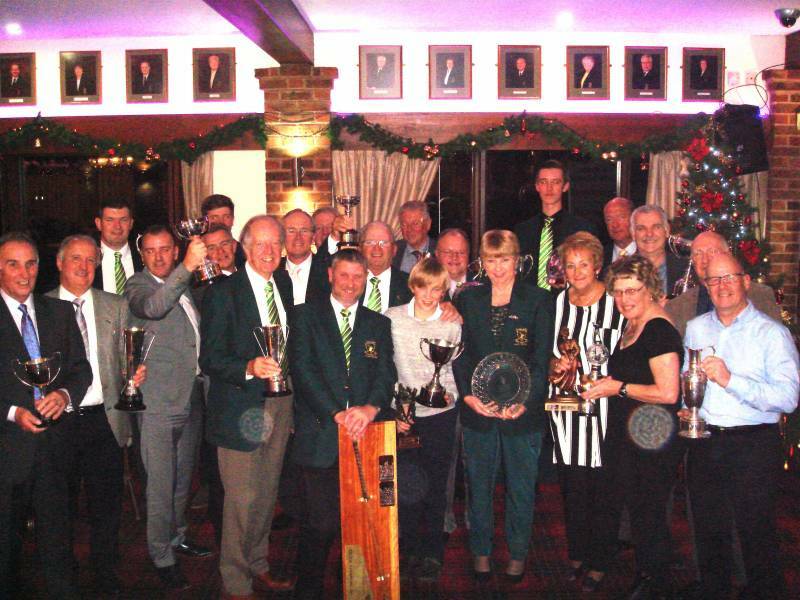 After a superb three course dinner the trophies were awarded to the winners. Presenting the prizes were James Moriarty (Junior Captain), Paul Turner (Stags Captain), Sheila Rennolds (Lady Captain) and Graham Murdoch (Club Captain). Mark Woolerton, Vice Captain was the compere for the evening. Congratulations to all the winners!!! A big thank you to Jeanette Jackson for organising the engraving of all of the trophies and to Robin Whitehouse photographer for the evening.